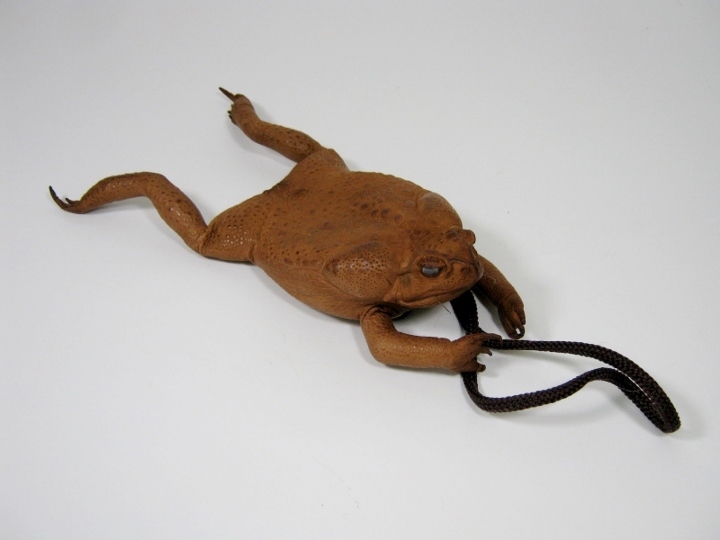 We carry two styles of exotic pouches made from real cane toads from the Philippines. 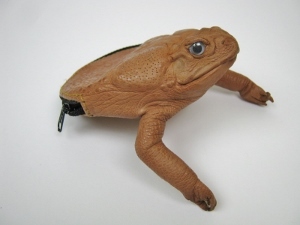 The coin purses are made from the upper half of the toad, complete with front legs, and measure about 12 cm long by 9 cm wide. The legs may or may not give them some extra length. 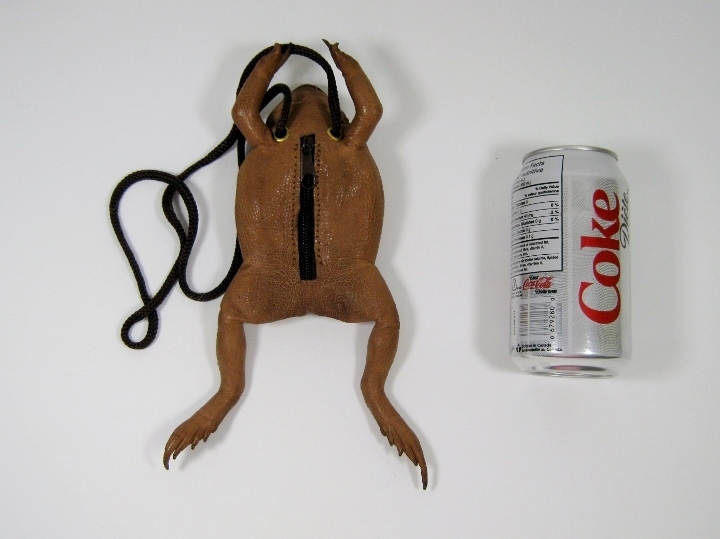 The necklace pouches are made from the whole toad, and have a zipper opening on the belly. It is attached to a cord that can be pulled in when not needed. 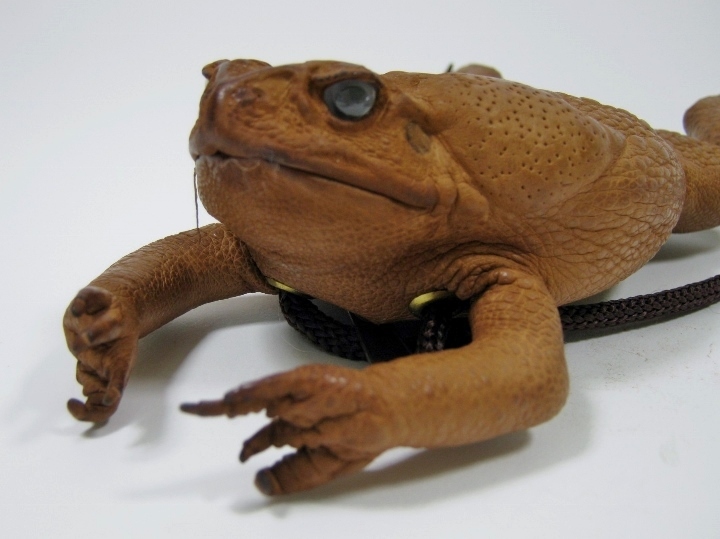 From the tips of the front to the tips of the bottom legs, they measure about 23 cm to 27 cm long, and the toad itself is 14 to 15 cm long. They are about 8 to 9 cm wide. Please note that, as they are natural products, sizes will vary. Cane toads are not endangered and are not subject to CITES controls.